On 4 May 2015, in Szpital na Wyspie Sp. z o.o., the opening ceremony of the renovated Geriatric Wards was held. 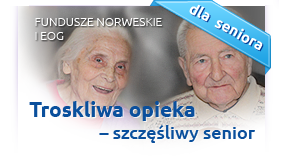 The renovation was conducted within the framework of implementation of the programme "Improvement of health care of the elderly, dependent and chronically ill people from Żary and Lubsk and the rest of the southern area of the Lubuskie province". The total project value is PLN 1 991 217.00, and the funding value is PLN 1 578 355.00. The total cost of the reconstruction implemented within the framework of the programme amounted to PLN 439 thousand. Representatives of the District Council and the Supervisory Board of Szpital Na Wyspie Sp. z o.o.